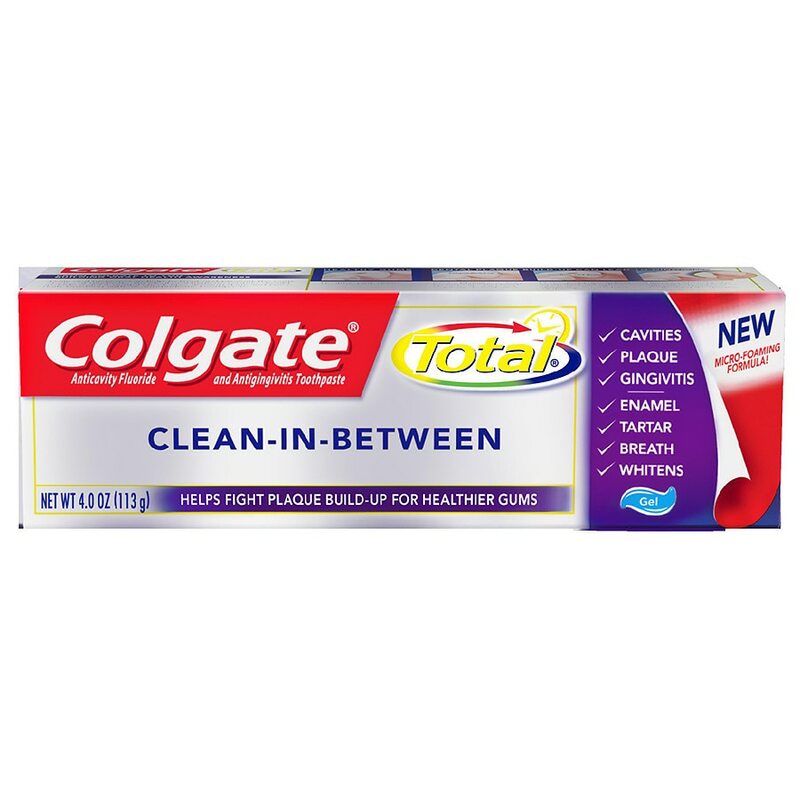 Colgate Total’s Clean-In-Between foaming gel toothpaste helps fight plaque build-up for healthier gums, fights germs for 12 hours, and freshens breath. Even with brushing twice a day, plaque still builds up between teeth, which can affect the health of your gums. Introducing Colgate total Clean-In-Between foaming gel toothpaste. Its micro-foaming formula reaches all around teeth and along the gum line to help fight plaque. In fact, it reduces 83% more plaque germs vs. regular fluoride toothpaste 12 hours after brushing, to help maintain the health of your gums. Use It together with Colgate toothbrushes and mouthwash for a healthy clean and to give yourself 12-hour protection against germs, even after eating and drinking.